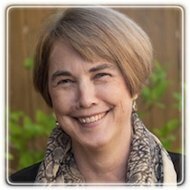 Seattle Therapist: Alison Withey - Therapist 98112. Send A Message To Alison. Are you finding yourself in the grip of constant worry or sadness, or struggling with a separation, loss or transition and feeling stuck? I help people find healing, joy and empowerment in their lives and relationships. I work with adults, couples and groups, helping people begin to engage in their lives with more ease, to feel happier, lighter, more connected and grounded in who they are. My counseling approach is interactive and supportive, bringing care, compassion and a belief in your ability access the life you desire. Together we will create a space where you can gain the tools and understanding to heal and navigate challenges, obstacles, uncertainty and loss with more confidence while building new paths and practices to connect to what is really important to you. Elements of hypnotherapy, mindfulness, guided imagery, integrative energy practices, journaling may also be utilized to support your process. The heart of our work together is helping you find a greater sense of well-being and joy in your life and your relationships. Couples Counseling: Increase communication, navigate and decrease conflict, strengthen/rebuild trust, intimacy and friendship. Tools to understand and work with trust, emotion, values, dreams, communication and conflict. Specialty focus: The Daring Way™ counseling and groups: building resiliency, courage, compassion and deeper connections in your life. Based on the life work of Dr. Brené Brown on shame, vulnerability and wholeheartedness. Separation & Divorce: Individualized help as well as group support for people facing or in the midst of a separation, divorce, or ending of a committed relationship. Compassionate help as you move through the losses, changes, challenges, and begin to heal and rebuild your life with strength and direction. These groups are empowering, educational and interactive with videos from Brené each week, questions to explore and interactive discussions to dig deeper into the ideas presented. The group focuses on identifying what is holding you back and how to build and integrate new tools and practices so you can show up, be seen and live bravely in your life. Ongoing separation and divorce group that meets every other Wednesday evening. A community of people that can understand and support you as you navigate and recover from the challenges and losses of separation and divorce. My office is located in Seattle’s Madison Valley neighborhood next to the arboretum and the 520 bridge with easy bus access and plenty of free parking. I offer both weekday afternoon and evening hours. For more information visit my website www.alisonwithey.com or call me at 206-250-9060.